Wisconsin Gov. Scott Walker listens to a question while speaking with media about his proposed reforms to Medicaid, unemployment compensation and food stamps after speaking at Business Day in Madison, an event with Wisconsin Manufacturers & Commerce at Monona Terrace on Wednesday, Feb. 13, 2013. Key Madison education and political leaders vowed Sunday to oppose Gov. Scott Walker’s proposal to expand private school vouchers to the state’s second-largest school district. Walker’s proposal would expand vouchers to districts with at least 4,000 students and two or more schools rated in the lowest two of five tiers in the state’s new school report cards. According to the first round of report cards released last fall, Madison had nine elementary, two middle and one high school in the second-lowest “meets few expectations” tier and no schools in the lowest “fails to meet expectations” tier. “Most people in Madison would reject that notion that we have failing schools in Madison,” Hughes said. Madison schools Superintendent Jane Belmore and three board members who were reached Sunday — James Howard, Mary Burke and Marj Passman — also said they oppose vouchers in Madison. Mayor Paul Soglin and Dane County Executive Joe Parisi also rejected Walker’s proposal, saying it wouldn’t get at the root cause of problems in the schools, specifically poverty. Urban League of Greater Madison president Kaleem Caire, who unsuccessfully proposed a charter school for low-income and minority students in 2011, said he didn’t think vouchers were necessary in Madison. He said he would discuss with his board a formal response to the governor’s proposal once more details became available. Michael Lancaster, superintendent of Catholic schools for the Madison diocese, said while the diocese supports vouchers philosophically, it has not been advocating specifically to bring them to Madison. The Wisconsin Council of Religious and Independent Schools, of which the Madison diocese is a member, has been lobbying for statewide expansion. After Republicans retained control of state government in last fall’s elections, principals at local schools met with WCRIS executive director Matt Kussow to learn more about voucher schools. Lancaster said individual schools will decide whether to participate in the program, but he couldn’t say for certain whether any would. He also said there hasn’t been a widespread call for vouchers from families, though now that the governor proposed vouchers for Madison, there might be more families who express interest. Opposition mounted Monday to Gov. 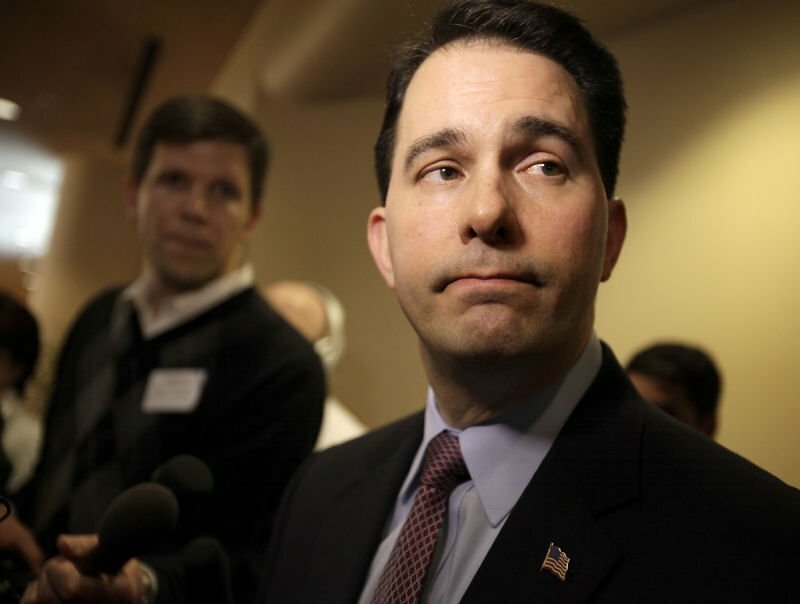 Scott Walker's education budget proposals as the Republican unveiled more details of his plans. Chris Rickert: Is latest voucher plan really an attack?